After what happened to me on Everest Nepal last climbing season, I returned to the mountain a full year later to resettle the score. This time I preferred to do a new route and experience instead of repeating all the same steps I did last year. I arrived to Tibet in early April, and from day one things were vastly different. First off, you can actually see Mt. Everest from Base Camp unlike Nepal. The photo above shows my tent with the highest point on earth in the background. The Tibet side is much much drier. 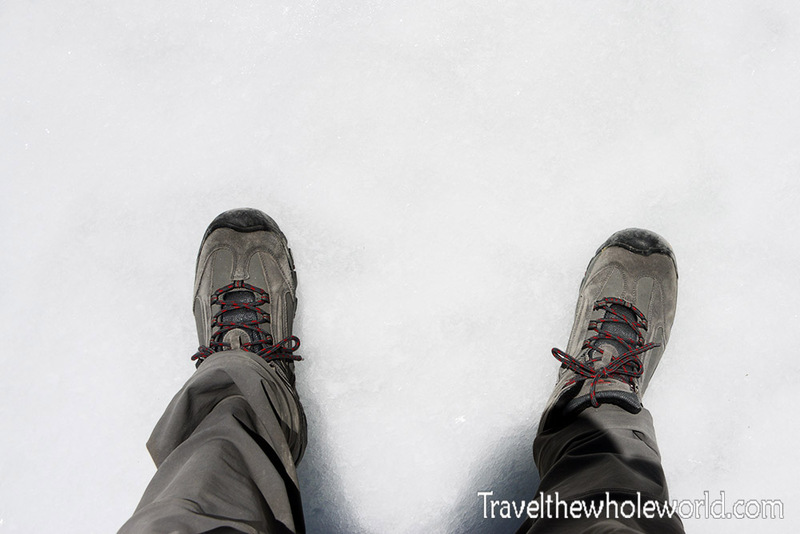 There are a few patches of ice in base camp like this one I walked across above, but for the most part it’s dirt. 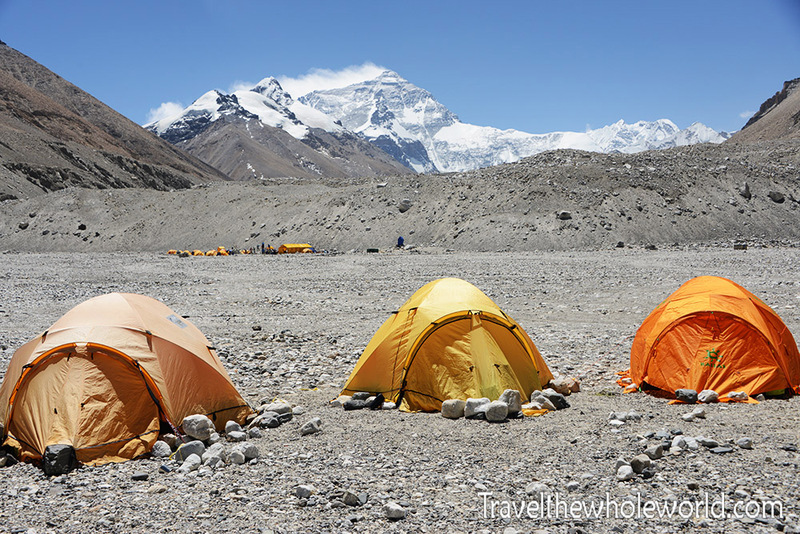 Unlike the Nepal side, you’re actually clamping on a slowly moving glacier that’s covered by rocks. 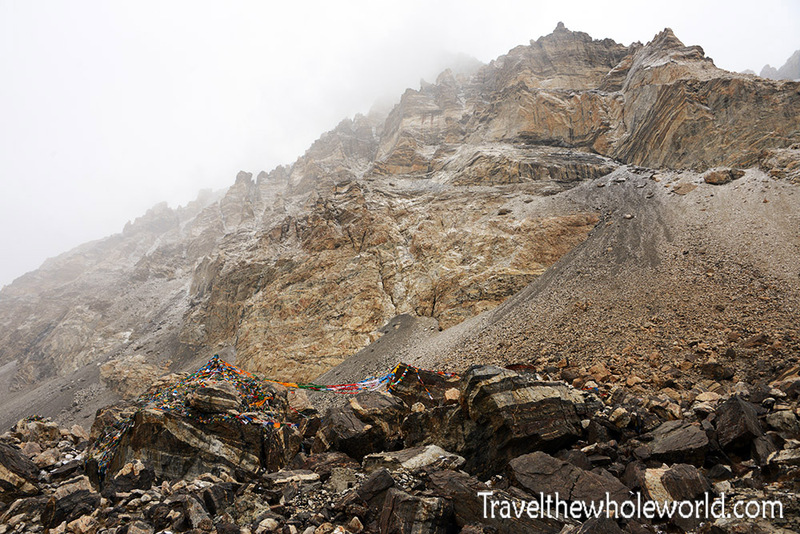 Even though the Tibet side is drier, it of course still gets snow and some dramatic scenery. I have to admit that while the Tibet side has a view of Mt. Everest, the views in the other directions are not nearly as impressive as Nepal’s base camp. 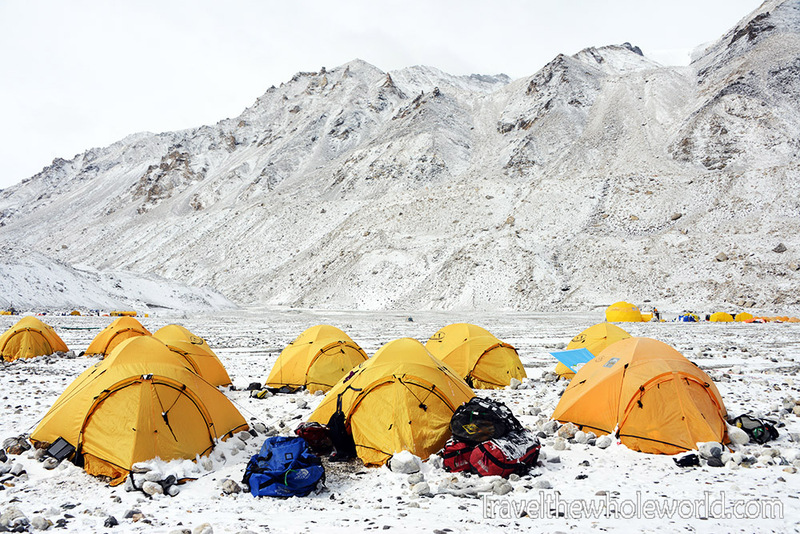 Nepal’s base camp is surrounded by glaciers and daily avalanches, as well as the ice fall that flows past camp. 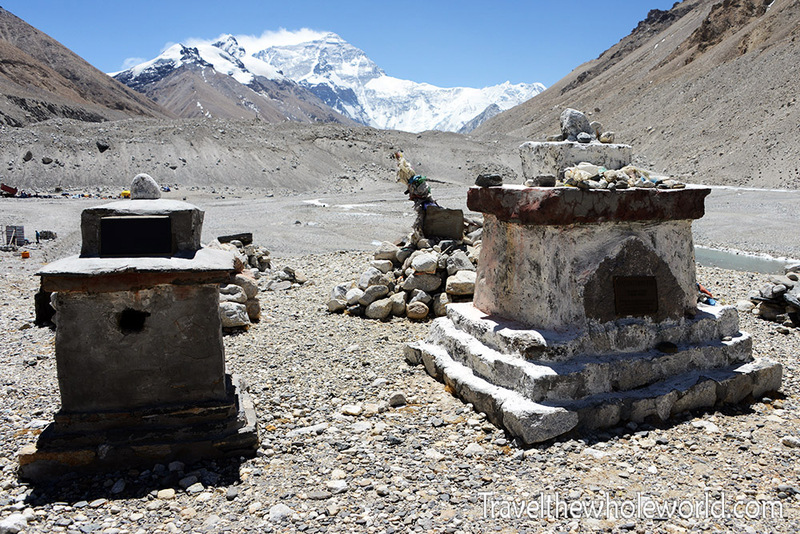 Nepal’s Everest Base Camp is more like a small city while Tibet’s is a quiet village. 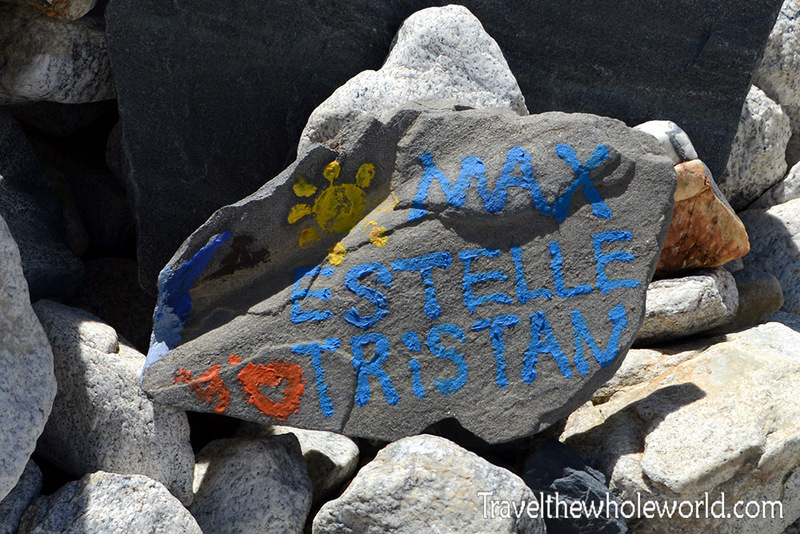 There’s a climbers memorial directly in base camp that you can walk to. There were about a dozen memorials here unlike the countless ones on the south side. A tiny memorial for George Mallory exists on the outskirts of camp as well. Maybe the only same thing that both base camps share is their Buddhist Puja ceremony. A Buddhist monk will come from a local monastery and bless the entire team and its gear. 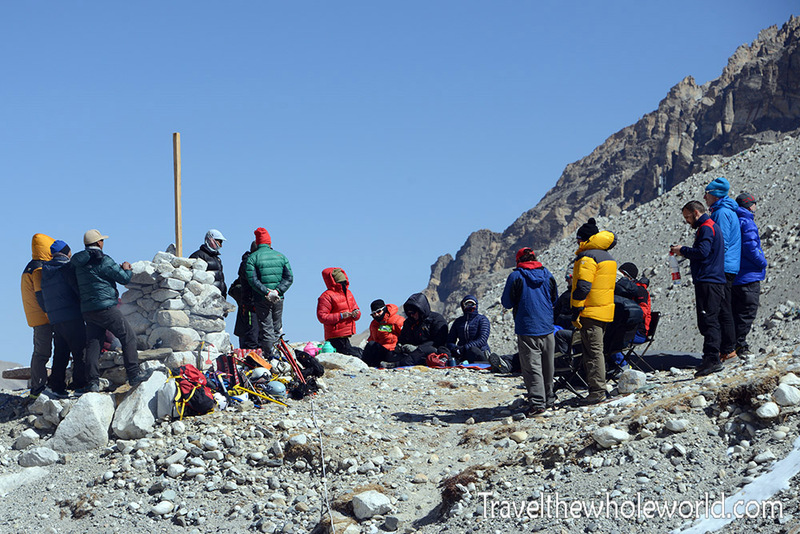 The photo above shows my expedition team members as the Puja ceremony is about to begin. This year’s Puja ceremony was much colder than the one last year in Nepal. I think because of the cold and wind we didn’t really have as much as an ‘after party’ as the previous Puja ceremony. The ceremony begins with the monk chanting and blessing our gear. 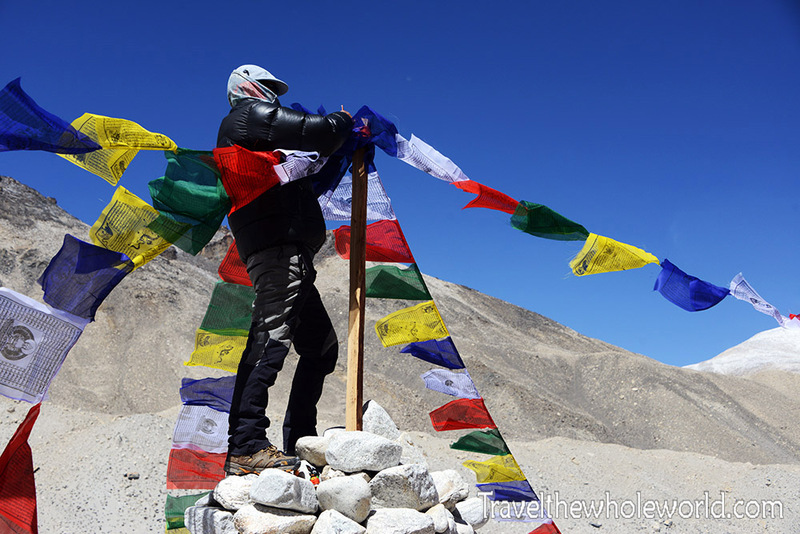 Maybe after 30 minutes a Sherpa will go up and extend the prayer flags from a large column of rocks that were previously built. The ceremony continues for another 30 minutes. Afterwards, we celebrate with alcohol, food, tea, and by throwing rice over our blessed gear. 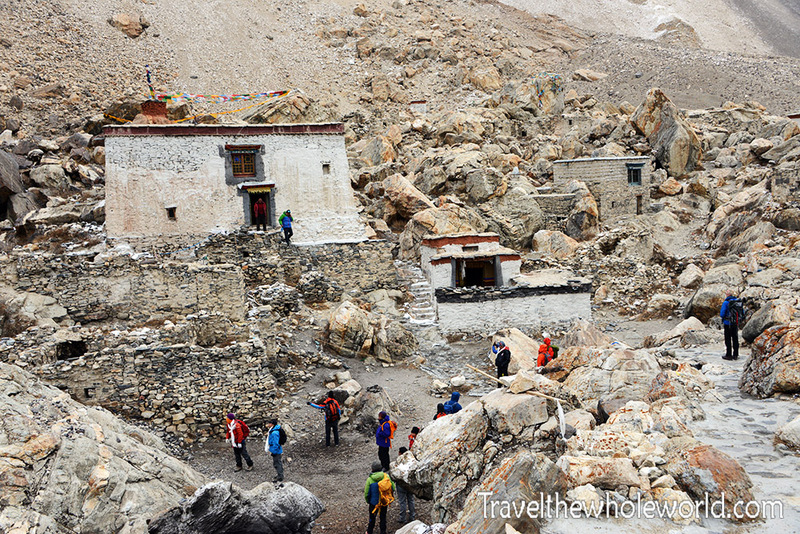 Just a short hike from base camp is the famous Rongpu Monastery. 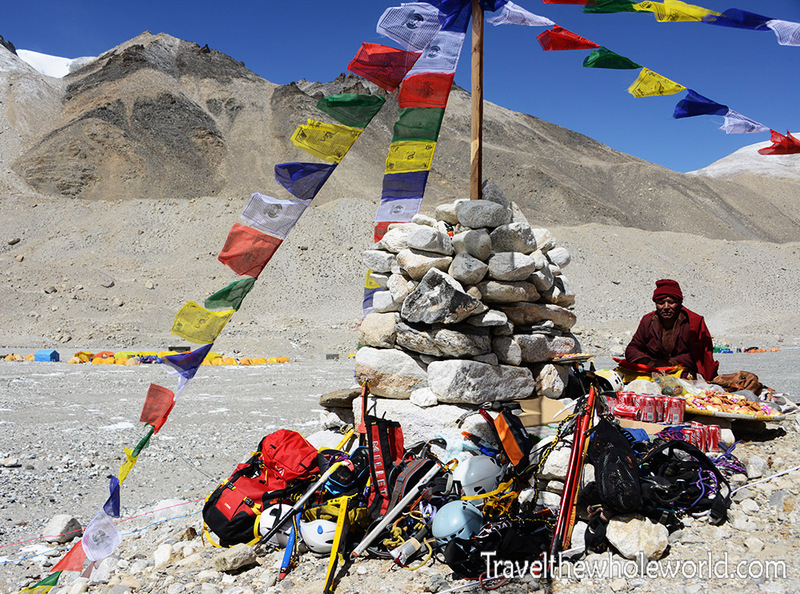 This is the highest monastery on earth at an elevation of about 17,000 feet (5,000 meters). It’s existed for well over 100 years before the first climbers had their eyes set on Mt. Everest. As a matter of fact, when George Mallory and other early expeditions first arrived, they all stayed at the monastery and were blessed by the local monks. The monastery is built in a brutal high altitude and cold environment. I can’t imagine what it must be like staying here over the winter. The photo above shows some of the Rongpu Monastery’s backyard full of scraggly mountains and prayer flags at the bottom. By the mid 2010’s, the Rongpu Monastery had direct access to a normal road and power lines providing 24 hours electricity. 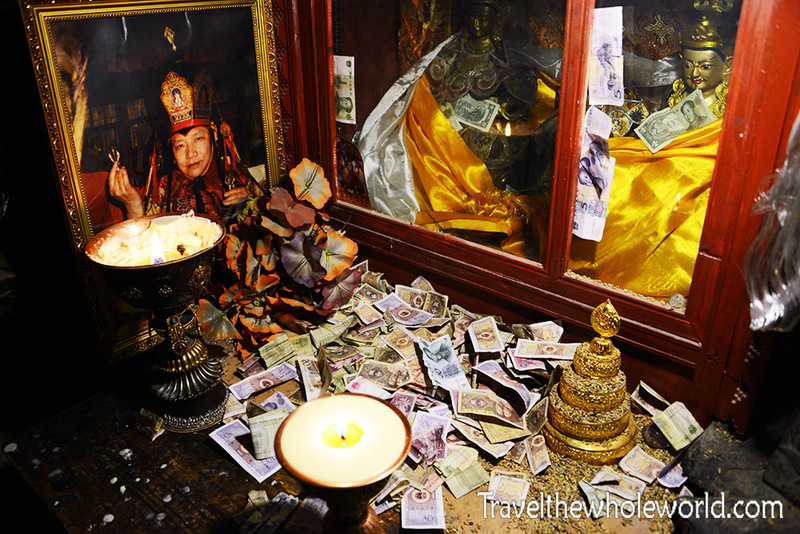 Below are some tourists from China who are visiting and praying at the monastery. One of the unique parts of the monastery is the underground room that’s part of a cave. 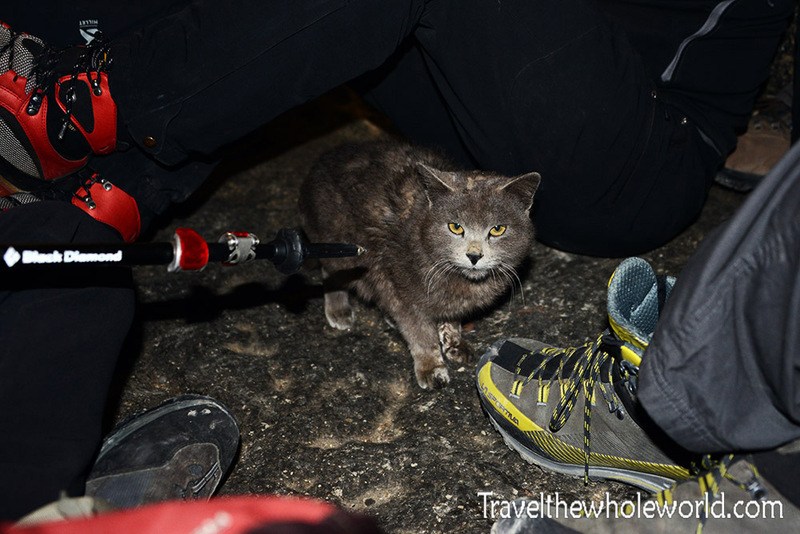 Somehow this cat we had seen outside made its way into the cave section of the monastery. Being that the vast majority of us get very sick early in the climb, everyone was freaked out by the cat and did their best to avoid touching it. That is of course except for Tendu below! I knew Tendu from last year on Everest and was happy to be with him again on the Tibet side. The cat just wanted to be loved, and Tendu was able to be that someone. 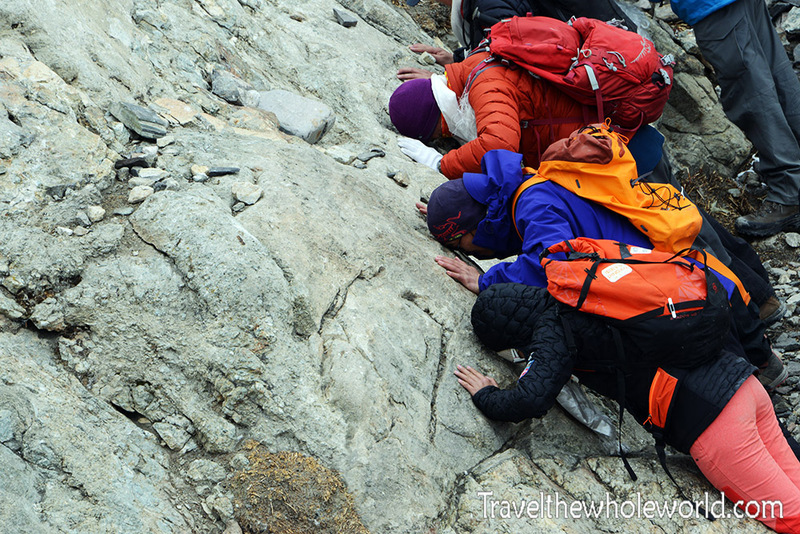 So although Tibet’s Everest Base Camp is much quieter than the Nepal side and doesn’t have much to do, there is a huge benefit. 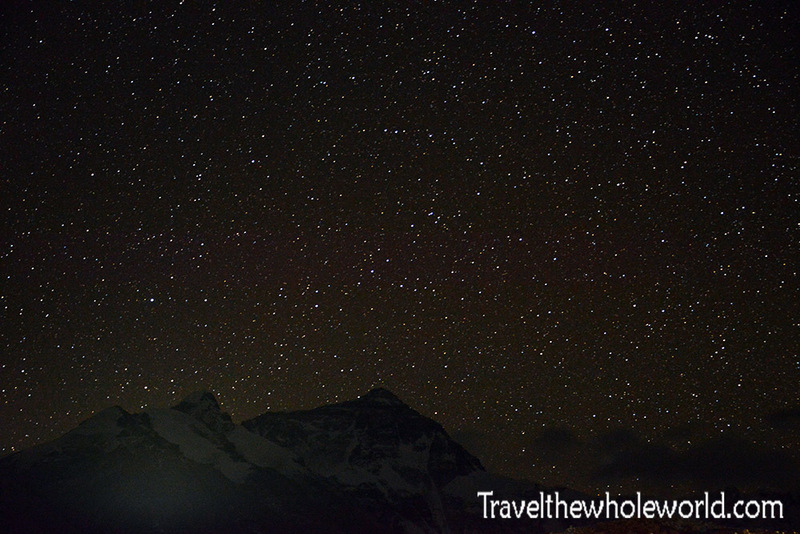 The lack of light pollution from over 1,000 people in the Nepal side and the drier air here means extremely clear skies. Both sides have excellent star gazing opportunities, but on the Tibet side I perhaps got my best view of cosmos in my life!